I don't know if this is the right forum section to put this, but here it goes. So I created some icons for TES5Edit and they can be downloaded from here. If somebody doesn't know how to change shortcut icon here is how to. Edited by moiman100, 14 July 2014 - 06:39 AM. Thanks, will probably use them in the next release of TES5Edit if you don't mind. Sure I'm just happy if it is used. Edited by moiman100, 21 February 2013 - 11:57 AM. Do you have a PSD of this that you'd be willing to release? I'm interested in doing some for FO3 and FNV. 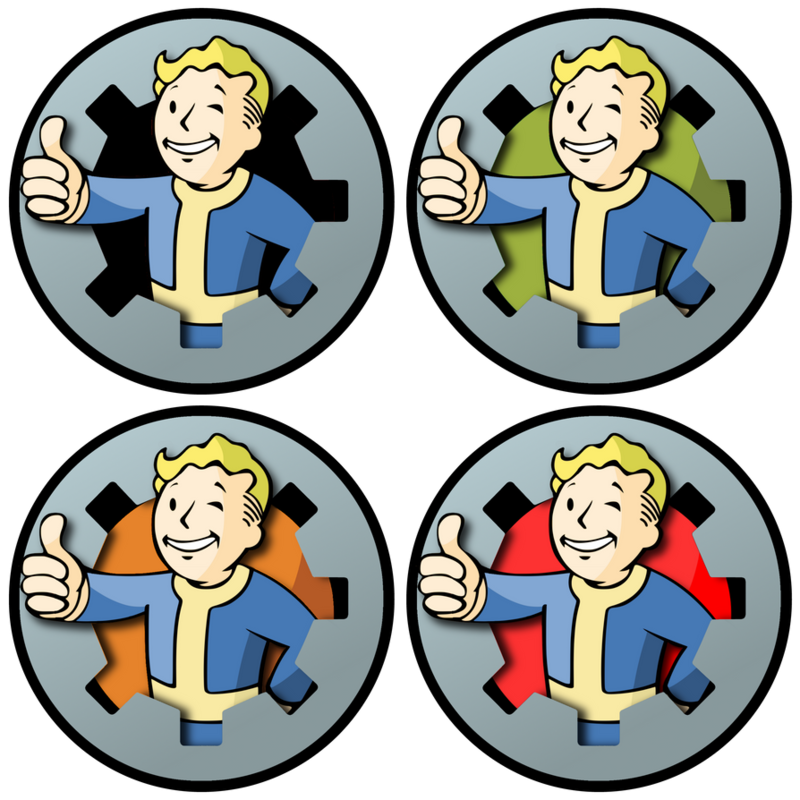 I have created similar icons for Fallout, because Vault Boy seems to be more fitting than dragon. Edited by starfis, 27 August 2013 - 07:11 PM. I love these icons. Decided to make TES4Edit and FNVEdit icons. I included the xcf files I used to make the icons, so other designers are free to make icons with different colors or whatever. Edited by matortheeternal, 11 March 2015 - 08:43 PM. Problem with (Old) Skyrim Lagging, Cleaning done, weird stuff..